FREE (with orders over £18) 12" garlic bread with cheese or Margherita or 1.5L bottle of pop (Coke, Diet Coke, 7Up, Tango, Diet Pepsi, Pepsi). FREE (with orders over £22) 12" garlic bread with cheese or Margherita & 1.5L bottle of pop (Coke, Diet Coke, 7Up, Tango, Diet Pepsi, Pepsi). Cannot be used with any other offer. Offers can't be used in conjunction with any other offers. 2 quarter pounder cheesburgers with salad - chicken nuggets with chips or salad - donner kebab & choice of sauce - garlic bread with cheese & a 1.5L bottle of soft drink. Any 16" pizza - any 14" pizza - any 12" pizza & a 1.5L bottle of soft drink. 2 x 10" pizzas with 2 toppings - any 2 of the following: chips or onion rings or salad. Any 12" pizza excluding Roma - 10" garlic bread with cheese - donner kebab - choice of sauce - chips - 2 pieces of chicken strips & a 1.5L bottle of soft drink. Any 10" thin crust pizza - kebab meat - chicken nuggets - cheesy chips - onion rings - potato wedges - 2 tubs of small sauces - mozzarella sticks or jalapeno sticks & a free 1.5L bottle of pop. 8" pizza - 2 mozzarella sticks -2 jalapeno sticks - 2 onion rings - 2 dips - 2 chicken nuggets - kebab meat - cheesy chips - potato wedges - 2 cans of pop. To add any Ben & Jerrys ice creams simply click 'Select Extras' in your cart. 12" square pizza - 4 dips - 8 chicken nuggets - 8 onion rings - 8 mozzarella or jalapeno sticks - chips - potato wedges with a choice of cheese - kebab meat -2 bits of chicken strips - a 1.5L bottle of pop. To add any Ben & Jerrys ice creams simply click 'Select Extras' in your cart. Any 20" pizza - 10" garlic bread with cheese - 2 sides (chips, onion rings or salad) - 4 dips - a 500ml tub of Ben & Jerry's & a 1.5L bottle of pop. 2 x kebab wraps - salad or chips - chicken wings - chicken chunks - chicken poppers - 2 x chicken strips - 4 dips - peri peri chips & a bottle of pop. All pizzas are served with cheese, tomato & herbs. To add extra toppings simply click 'Select Extras' in your cart. Sausage, pepperoni, ham, bacon & meatballs. Jack Daniels BBQ sauce with smoked bacon, red onions & mixed peppers. Fresh chilli, mixed peppers, onions & jalapenos. Ham, mushroom, cheese & tomato. Sweet chilli sauce & chicken. Tuna, prawns, cockles & mussels. Chilli, mushrooms, spicy beef & jalapenos. Quarter of tuna, prawns, ham & onions. Chicken tikka, hot fresh chilli & onion. Mushrooms, sweetcorn, mixed peppers, pineapple & onions. Cheese, curry & a choice of toppings. Cheese, peri peri sauce & chicken. Pepperoni & sriracha sauce over the cheese. Chicken, ham, pepperoni, salami & bolognese. Mushroom, sweetcorn, mixed peppers, pineapple, onions, chillies & jalapenos. Pepperoni, meatballs & chilli peppers. A selection of everything except seafood. Marinara base with Swedish meatballs. Cheese, tomato with salt, pepper, oregano. Double pepperoni, chilli, jalapeno, salt, pepper & oregano. Tomato, bolognese, beef, tikka, peppers, onions, salt, pepper, & chopped tomatoes. All served with fresh salad & a choice of sauce. To add extra cheese, bacon or jalapenos simply click 'Select Extras' in your cart. With pineapple, salad & chilli or garlic sauce. With BBQ sauce & onion rings. Served with cheese salad & choice of sauce. All served with chips or salad & a choice of sauce. To add cheese for an extra £1 simply click 'Select Extras' in your cart. Served with chips or salad & choice of sauce. Spicy beef, jalapeno & hot sauce. Served with fresh salad or chips & choice of sauce. A mixture of the above kebabs. 2 Kievs filled with parsley & butter. Served with chips & salad. 8 strips, 2 portions of chips, 2 dips & bottle of pop. Served in a wrap with chips or salad. 2 tortila wraps, filled with spicy beef or chicken. 2 Tortila wraps, 1 filled with spicy beef & 1 filled with chicken. 2 Tortila wraps, mushrooms, onion, mixed peppers, sweetcorn, chilli sauce & cheese. Feel the frozen explosion with the UK's No1 fizzed iced crystal drink. Available in blue raspberry, cherry or mixed flavor. First time ordering this weekend, we got the Mega munchie box. Food was delivered hot and more than enough for six of us. Will definitely order againð??? Excellent food as always. Salt and pepper chicken strips and the halloumi fries were amazing and the kids loved sharing a Mini munchie box. Waited over an hour and a half for the food to turn up cold, Food was Bland looked like it had just been flipped inside the box, Very disappointed. Not worth the money and certainly not worth the wait! Best takeaway in consett . Absolutely loved the food last night. Been happy every time weâ? ?ve eaten from here. Always friendly and welcoming staff and atmosphere. Got the Mega Munchie Box for Â£20 which has fed 6 of so itâ? ?s great value too. Came 12 minutes before given time which was great for us. Will definately use again. First time Iâ? ?ve tried a chicken kebab and it wonâ? ?t be the last time!! Taste of the chicken was lush and salad nice n fresh!! Partner also enjoyed his pizza!! Great food, speedy delivery and pleasant staff what more could you ask for. Chicken Gringos were amazing ð??? Spot on! On Time! Great Price for Quality! Munchie Box is amazing value, and the quality of pizza was the best yet. 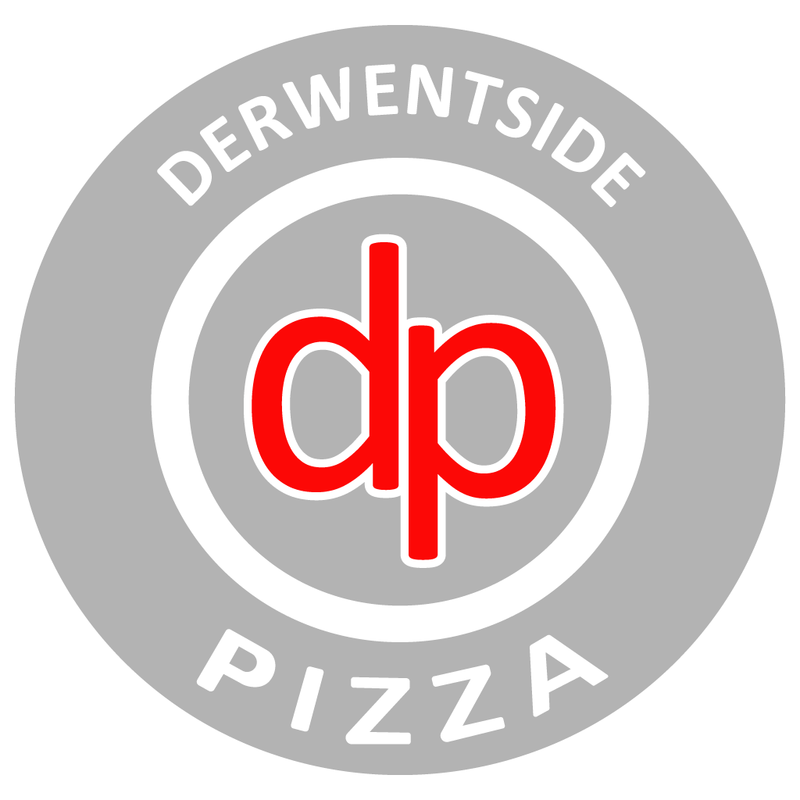 Danny and all at Derwentside Pizza are knocking the others out if the park right now! Love the different variety off food. Food arrived 10-15mins after estimated time but understandable if they were busy (particularly after pay day). Ordering via app was great and easy, but i forgot to ask for cheese on garlic bread. Food was lovely, hot. Delivery driver was very nice and pleasant. Definitely recommend. Wouldnâ? ?t go anywhere else ð?? ?